We present some of the oddest photographs from across the globe clicked in the past week. Enjoy! 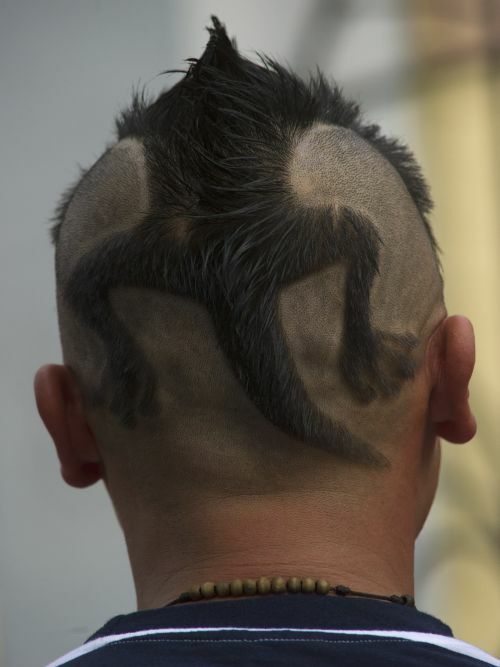 In this photograph, Rudy Parraga, from Guayaquil, shows his Galapagos iguana-inspired hair design on a street in Quito, Ecuador. 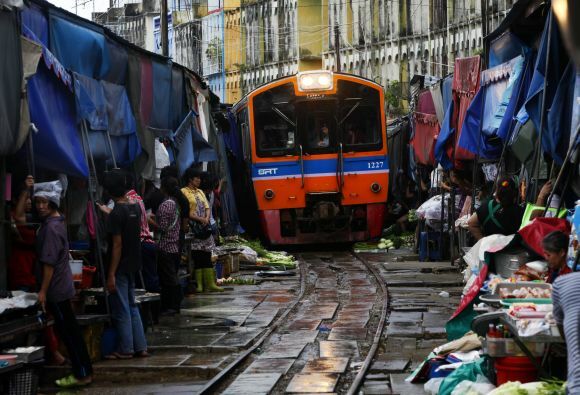 Thai vegetable market vendors pull back awnings and their produce off a railway track to allow a cross-country train to dissect through the middle of the town of Maeklong, in Samut Songkhram province, west of Bangkok. The bustling market, in the middle of the town, has to scramble from the tracks eight times a day as trains pass. 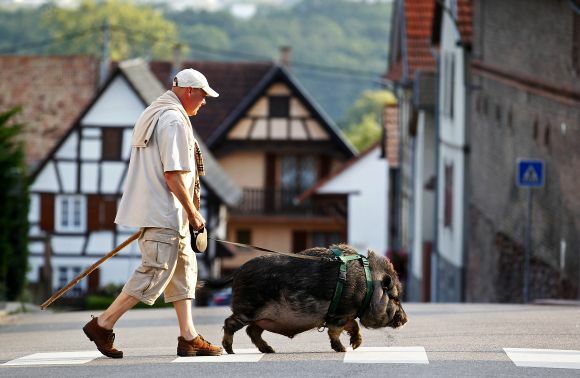 Christophe Lutz walks Marcel, a 30 month-old pig-wild boar crossbreed, in the small village of Kolbsheim near Strasbourg, Framce. Marcel, an offspring of a sow and a wild boar, was raised by Christophe and his wife Chloe when he was three months-old, and neglected by its mother. Singer Psy (centre) performs a parody of Lady Gaga with dancers during his concert in Seoul. The chubby, rapping singer with slicked-back hair and a tacky suit is the latest musical sensation to burst upon the world from South Korea, via a YouTube music video that has been seen by over 20 million people in under a month. In a nation famed for the pretty-boy but often bland bands of K-Pop, nobody was more surprised by the success of the video "Gangnam Style" than its creator, Psy, a musician with a decade-long career in his homeland who never thought to break overseas. 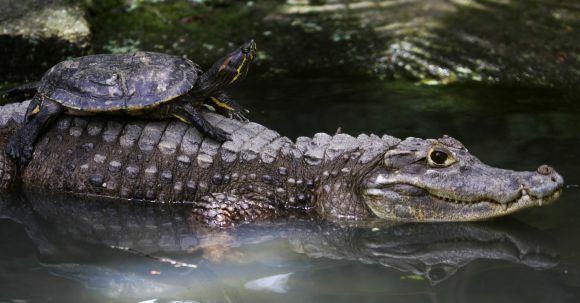 A turtle lies on top of an alligator's back at the Summit Zoo Panama City. 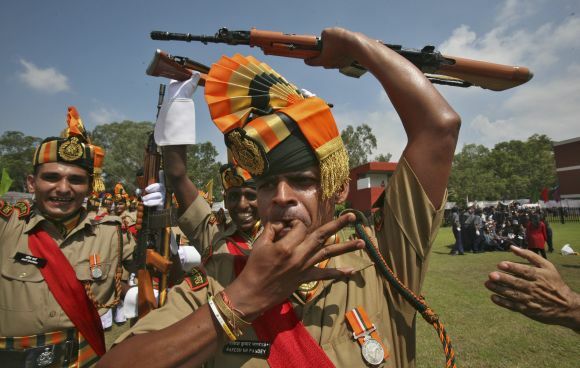 A soldier from the Indo-Tibetan Border Police whistles after they won the second best trophy in a marching competition during the Independence Day celebrations in Chandigarh. The python weighed a record-breaking 74 kgs and carried 87 eggs in its oviducts, according to researchers. 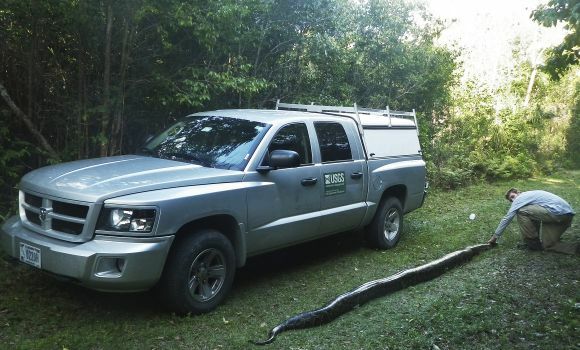 USGS scientists outfitted her with two radio transmitters, a GPS device, and a motion-sensing device before releasing her back into the wild. 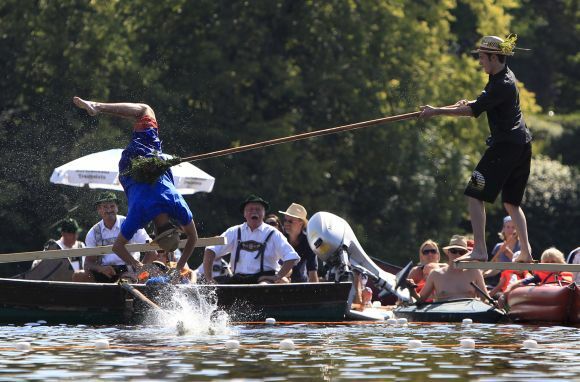 Franz Guglhoer (right) sends his opponent Christof Grunwald into the water as they take part in a so-called 'Fischerstechen - fisherman joust' competition at the lake Staffelsee in Seehausen, Germany. The traditional Fischerstechen, which took place for the first time in 1864, is celebrated annually on the Assumption Day. 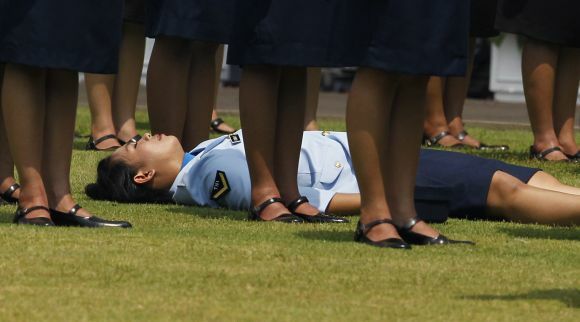 A member from the airforce contingent lies on the ground after fainting during a ceremony marking Indonesia's 67th Independence Day in front of the Presidential Palace in Jakarta. 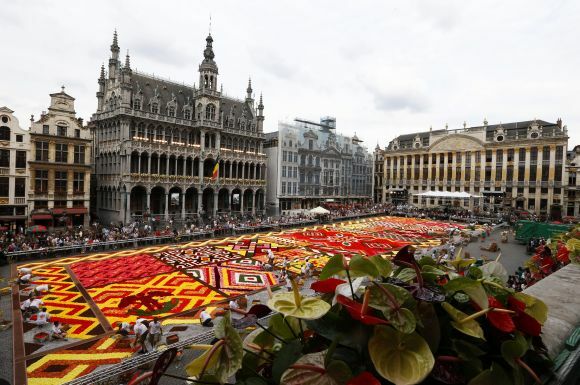 Gardeners work on a giant carpet made of flowers to form a floral decoration at Brussels' Grand Place. The design requires about 700,000 flowers to create, according to event organisers.